Santa Rosa Beach is a small town in the Florida Panhandle situated on the romantic Choctawhatchee Bay. 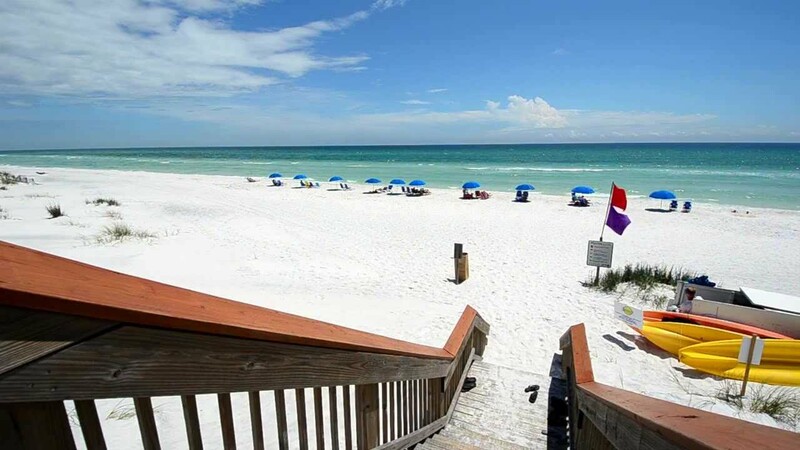 Although it’s not as well known as other beaches in the Sunshine State, Santa Rosa Beach has a robust tourism industry with plenty of activities for anyone looking for some summer fun. In this article, we’ll take a look at some of the best things to do in Santa Rosa Beach. We’ll also explain the easiest ways to get here no matter where you’re traveling from. It shouldn’t come as a surprise that number one on TripAdvisor’s list of things to do in Santa Rosa Beach is to visit the beach! Visitors are usually most impressed by this beach’s extremely soft, seashell-free sands. Even at the height of tourism season in the summer, Santa Rosa Beach doesn’t get super packed with tourists. Furthermore, as we’ll explore in the point below, there are numerous fun tours guests can book on this beach. So, if you like a relatively secluded beach with warm, well-maintained sands, you’ll be in heaven at Santa Rosa. One of the most popular things to do in Santa Rosa Beach is to book a themed tour with local experts. Just a few of the more popular tours include horseback riding, whale watching, and biking. 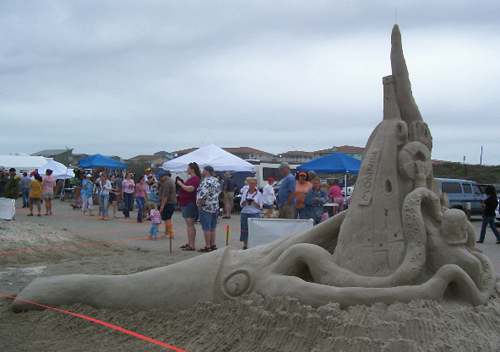 One interesting class you can take part in on Santa Rosa Beach is a sand castle building workshop with the company Sand Odyssey. You can also book an unforgettable glass blowing workshop at Gilbert Glassworks, which is located at 416 Co Hwy 393 South. If you feel like just relaxing with your loved ones, why not book a boat tour around the area? As you can see, there’s no shortage of interesting tours available for people on Santa Rosa Beach. While it’s not technically in Santa Rosa Beach, most Santa Rosa tourists spend at least one day exploring this celebrated state park. 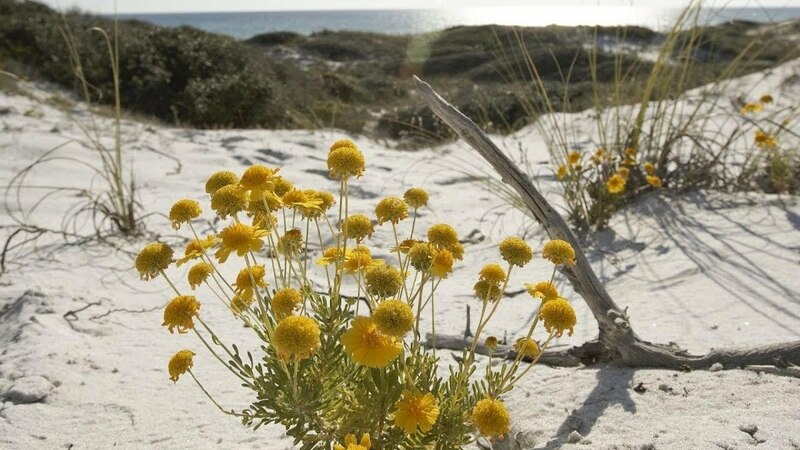 While there aren’t as many amenities at Grayton Beach State Park as in other state parks, visitors keep on returning here to take in the region’s impressive untouched natural splendor. One of the most popular areas to explore in Grayton Beach State Park is a hiking trail through the dunes. Besides hiking and biking, visitors are encouraged to fish, canoe, or kayak on the soothing Western Lake. Grayton Beach State Park measures 2,200 acres and has a designated area for campers. Grayton Beach State Park is only a 15-minute drive from central Santa Rosa Beach. No trip to Florida is complete without enjoying some of the state’s famous seafood. Luckily for you, Santa Rosa Beach has plenty of exceptional restaurants for all price ranges. Anyone willing to splurge on fine dining must look up the names Café Thirty A, Trebeache, and Fish Out Of Water before driving down to Santa Rosa. A few local favorites that won’t break the bank include Chanticleer Eatery, Bayou Bill’s Crab House, and Great Southern Café. Wherever you go, be sure to bring a big appetite when you visit Santa Rosa Beach. 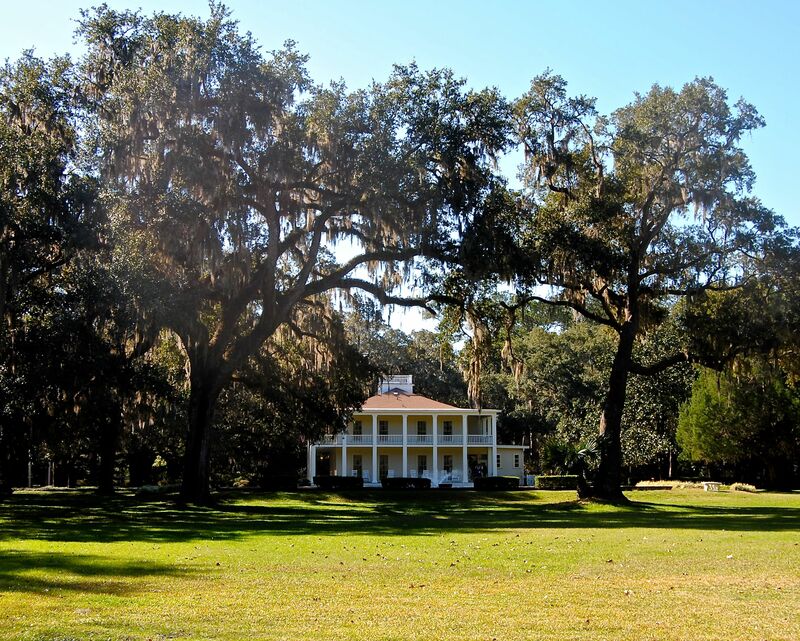 Located a 15-minute drive from Santa Rosa Beach, Eden Gardens State Park is well worth a visit for anyone interested in traditional Southern architecture and flower design. The focal point of this 163-acre park is the Wesley Homestead, which was built in 1897 with classical Roman pillars. Many people who tour this mansion and the surrounding gardens feel as if they’ve been transported back in to the Antebellum South. Inside the Wesley House, your guide will show you some priceless French artifacts the Wesley and Maxon families preserved from as far back as the 18th century. By the way, visitors are encouraged to fish in Tucker Bayou. You’ll find the entrance to Eden Gardens at 181 Eden Gardens Road. Getting thirsty? Then it’s time for you to tour the Grayton Beer Company at 217 Serenoa Road. This relatively recent beer company (founded in 2011) offers a wide array of products ranging from American pale ales to Belgian style stouts. Tour times are from 9AM to 5PM Monday through Wednesday, 9AM to 8PM Thursday through Friday, and on Saturday from 12PM to 6PM. You can easily book tours by visiting Grayton Beer Company’s website or calling them at (850) 231-4786. 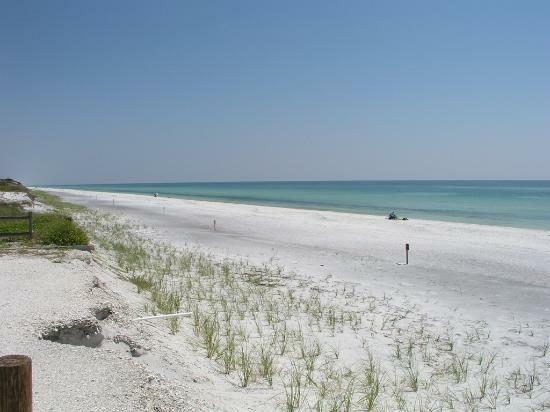 Another wonderful state park in Santa Rosa Beach is called Topsail Hill Preserve State Park. Measuring over 1,600 acres, Topsail Hill Preserve has many hiking trails, wetlands, and dunes to explore. You can also freshwater fish at any of Topsail Hill’s lagoons. Guests who want to relax on Topsail’s beach will over three miles of pure white sand to lounge on. In case you were wondering, there is an RV facility and cabin area here with all you need for a comfortable camping adventure. Destin Fort Walton Beach Florida Airport (IATA: VPS) is the closest airport to Santa Rosa Beach. The major passenger airlines that fly into VPS include Delta, United, Delta, Allegiant, and American Airlines. For those traveling from further away, you might have to book a flight into a larger international airport like Tallahassee International Airport (IATA: TLH) or Jacksonville International Airport (IATA: JAX). TLH is about a two hours drive from Santa Rosa Beach, whereas JAX is four and a half hours away. To get from VPS to Santa Rosa Beach, drive onto FL-293 and US-98 towards North Colony Highway 393. This should take you a little less than 30 miles. You’ll reach Santa Rosa Beach after 50 minutes of driving. Santa Rosa Beach isn’t as popular as other Florida beaches, but that only adds to its charm. People who take the time to visit this relatively secluded beach are rewarded with less crowds, a pristine beach, and a wide variety of fun activities for all ages. Hopefully this list of things to do in Santa Rosa Beach has encouraged you to give this tiny panhandle town a visit in the future.